In the wild, the most common mode of reproduction among plants is sexual, involving flowers and seeds. When the conditions in a setting are inauspicious, however, sexual reproduction gives way to asexual reproduction, know as vegetative multiplication. Pieces ofplants that have broken off or been uprooted, and then swept along by the movement of the water, settle and take root. 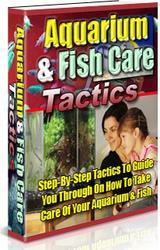 It is this vegetative multiplication method that is used in aquariums. The techniques used, which vary according to the type of plants, are similar to those of horticulture. 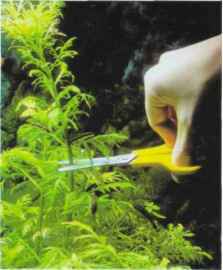 Cuttings can be taken from a stemmed plant, which is cut cleanly with a razor blade or scissors. The upper part, about one third of the length, is replanted. Some aquarists prefer to remove the leaves from the lower third of the cutting before planting it, while others recommend leaving them in place, on the grounds that they will gradually be converted into mineral matter as they are degraded. Roots form and the new plant normally grows quickly. The lower part of the mother plant produces lateral shoots that can be used for cuttings later on. Adventitious roots (those growing sporadically away from their normal location) make it easier to take cuttings from most stemmed plants (like Cabomba, Hygrophila). The upper part of a stemmed plant produces substances that inhibit the growth of side shoots. If this section is cut off or firmly squeezed, these substances do not reach the lower part of the plant, and lateral shoots suitable for cuttings can grow. This technique is widely used when the stem of a plant reaches the surface of the water. 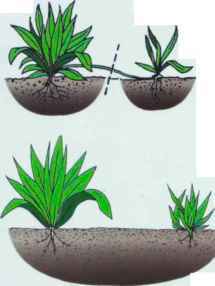 To take cuttings from a plant, cut the upper part (top) and replant it (center). This provides the opportunity for lateral shoots to emerge on the original stem (below). To take a cutting from a stemmed plant, it is advisable to make a clean cut. If the lower part of a stemmed plant loses its leaves, this means that light is having difficulty in penetrating right to the bottom of the aquarium. In this case, cut the plant a few centimeters from the bed and transplant the healthy upper part. If you have small rearing tanks, these can be used as aquatic "greenhouses" for the cultivation of stemmed plants. It is best to use fertilizer, in the form of liquids or clay balls. Some fish need to be added to ensure the supply of C02 to the plants. Aeration is not strictly necessary, and filtration should be moderate. Plants without stems thicken at the base, sometimes forming smaller, secondary feet with roots. These can be carefully removed with a razor blade and replanted. 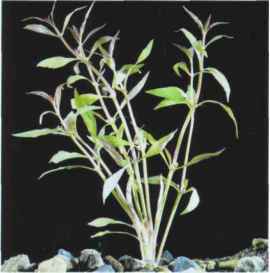 The division of the base is a technique applicable to many plants, such as the cryptocorynes. Some plants, such as the Echinidorus species or the marine algae from the Caulerpa genus, produce a horizontal aerial stem, known as a runner (or stolon). A young plant then grows out of this, producing roots that enable it to establish itself in the bed, either spontaneously, or with added help from the aquarist, who may have to encourage it to take root. After about a week, the roots will have grown sufficiently to allow the runner to be cut off. In the case of the Congo fern, this produces a rhizome that grows slowly, with new leaves appearing on it. If you cut off this rhizome between two leaves, you are left with two independent plants. A "REARING TANK" FOR PLANTS? Why not? Some aquarists sometimes manage to get plants to reproduce sexually, when they bloom. They use one or several cultivation tanks, in which cuttings, layering, and division of the base are regularly performed. When they are fully grown, the plants are then transplanted into a community aquarium. A reproduction tank for plants must have specially adapted and fairly strong lighting. Top right: Valliseneria and Sagittaria reproduce spontaneously via runners (top). The new plant must be made to take root (center) before cutting the runner (below). The water level should not be too high, to assist the penetration of light, and the bed should be given appropriate enrichment. Miniature jardinieres can even be constructed, using jars or ice cream or yogurt cartons, for example. The filtration should be gentle, and there should be no oxygenation at all, to avoid the CO2 dissolved in the water being let off into the atmosphere. If there is not enough carbon dioxide, equipment to provide moderate diffusion of this gas into the tank is available in aquarium stores. A few fish will add the finishing touches to the equilibrium, and if you choose specimens from the same species, they can reproduce as well. 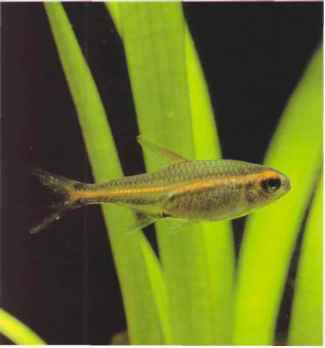 These days many aquarists are enthusiastic about the reproduction of fish, but few are interested in cultivating plants, although this can be just as fascinating. The propagation of aquatic plants is easy and you can quickly build up large stocks to pass on to, or exchange with other enthusiasts. Of the thousands of plants that are genuinely aquatic, or only amphibian, only a few hundred are to be found in the aquarium trade. The vast majority of these come from tropical fresh water, with the remainder coming from northern climes, and therefore suitable for temperate aquariums andgarden ponds. The most common plants are generally the most robust, and are therefore specially suitable for beginners. Others are best left to committed aquarists keen to create a veritable aquatic garden. 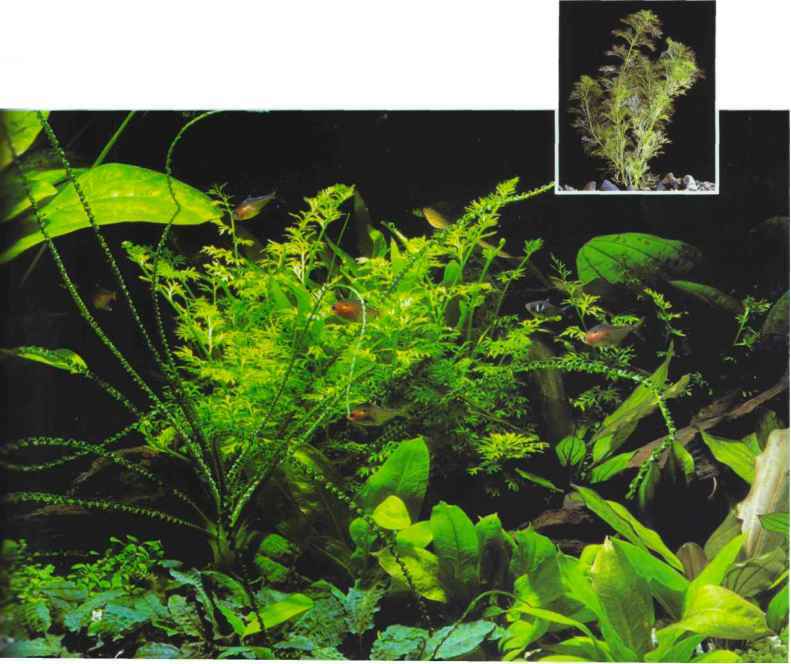 The special plants - the floating species, mosses, and ferns - have been grouped together, on account of their exceptional lifestyle; they should be of interest to all aquarists.